Cover versions of all the songs on the album, split on to two sides. It is not hard to find other artists covering Bob Dylan’s songs, but it is not so easy to find interesting and good interpretations. The originals are so strong that I wouldn’t expect anyone to top them, and noone does. Even if that is the case, I think I’ve found some of the best out there. 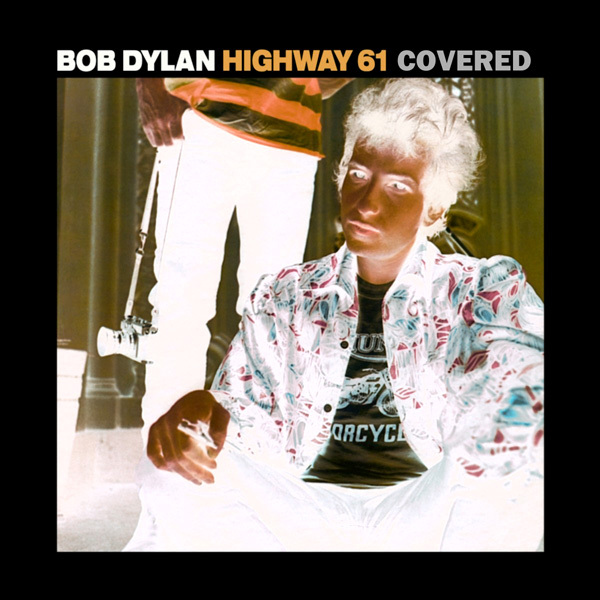 Highway 61 Revisited is one of the best albums in Rock’n Roll history, if you don’t have it, go buy it or buy it online or something…just get it, it’s a life changer! This was recorded on April 8 2004 in the 1968 movie theater in Tavira, Southern Portugal, where Boris Buggerov Band is based. It has a great piano and a bit of a tex-mex flavour. Different and performed with an anger befitting the lyrics. Very nice as always from this wonderful duo. It was hard to find a representable cover of this masterpiece, but I think this interpretation from Grateful Dead is really good! See also our post Bob Dylan’s Blood on the tracks covered. Of the period: Wilko Johnson’s (of Dr. Feelgood) fabulous cover of Please Crawl Out Your Window. Audio only. 1980. He did a recent cover (this year) with Roger Daltrey singing. They recorded a terrific album together, Going Back Home. Unfortunately that version of tune I wasn’t able to find online. re desolation row, i’d put Chris smither’s interpretation above what you posted here. there’s at least two performances available in youtube, one in 2003 and a recent one in nov 2011. Edit: here is the link to the 2011 version by Chris Smithers, and yes it I liked it very much!